We released a new version of GSatTrack a little over a month ago, which included a number of changes to the user experience that were responses to our conversations with clients over the years. One of the most obvious changes was to the user interface, and to the menu structure for the tools in the software. We implemented these changes for a number of reasons, and today, we'd like to share those reasons with you so that you can help us shape the future iterations of GSatTrack just as you have to this point. Among our leading design criteria for the new version of GSatTrack was the consideration of the ability for portal users and asset managers to be able to immediately get the most relevant information from their data ecosystem upon logging in. We know that for massive ecosystems with hundreds or thousands of assets, it can be daunting to log in and know what to look at first. As a remedy, we've made it easier to focus on the assets that have reported status since last login, or assets that have triggered alerts that require attention. Summary Views for assets and groups show condensed and color-coded iconography sets for the various types of information that assets report. If users are interested, for example, in immediately seeing the assets that have triggered alerts since last viewed, they can scroll the first panel and look for the Orange indicators. While the old version of GSatTrack gave the ability to see certain status updates and notifications, summary views are a new way of helping asset managers and portal users focus their attention more quickly on the things that matter most. Another one of our leading design criteria for the new version of GSatTrack was to streamline the user experience for all processes, so that new users would have an easier time taking full advantage of the capabilities of the software. We know that for a product that is feature-rich, having mirrored flows for features with similar functionality would match best with user expectations. The best example of the changes we made in this regard is the addition of the Add Item (+ button) to the main navigation panel. This gives users a consistent flow from start to finish, regardless of what they are trying to create in GSatTrack. We found that combining all of the create functionality helps users deploy ecosystems and add assets to the portal more quickly as well, which was a welcome change for a number of our new clients who hadn’t yet fully assimilated their assets. The greater representation of this change, however, is the consistent flow of functionality in the first, second, and third panels on the left of the interface. As a rule, most portal activity will be initiated from the second panel, and advanced functionality will open in the third panel or main viewport. Cosmetically, a new User Interface gives us the opportunity to refresh the look in a way that reflects current design trends, and also to apply our new branding for the application. The primary and default skinning theme is easy on the eyes, and represents a clean look with bold accents to highlight important features and navigation items. 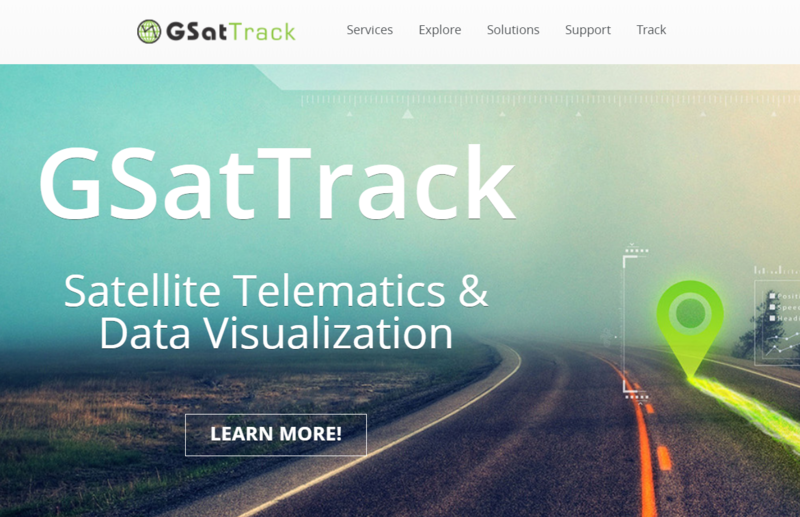 A number of our clients and resellers also have brand-custom skinned versions of GSatTrack, and the new interface makes it more feasible for us to accommodate custom branding requests. While there is a cost to provide a custom interface, we now have the option to make custom skins available to a wider range of clients, whereas with previous versions, it was only sensible for larger scale clients and resellers. If you're ready to see a guided walkthrough of GSatTrack, please visit our demo page and request your guided demo and trial. If you’re already a GSatTrack user, and would like more information about the software changes, including user manuals and onboarding guides, please see the documentation center for more information.